Robert Oster Motor Oil is a deep dark brown-green colour. And it looks just like motor oil or sludge. This is most definitely not my favourite colour. 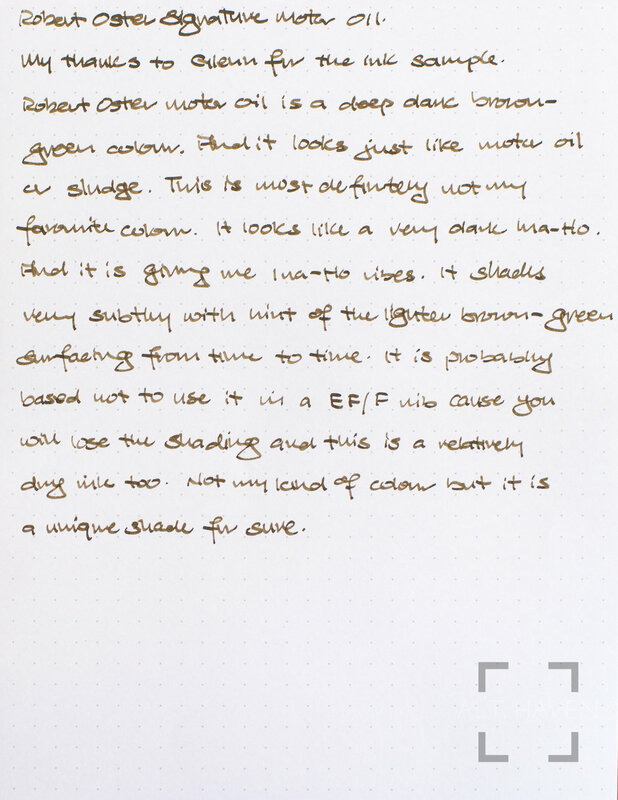 It looks like a very dark Pilot Iroshizuku Ina Ho. And it is giving me the Ina-Ho vibes. (I don’t like Ina-Ho.) 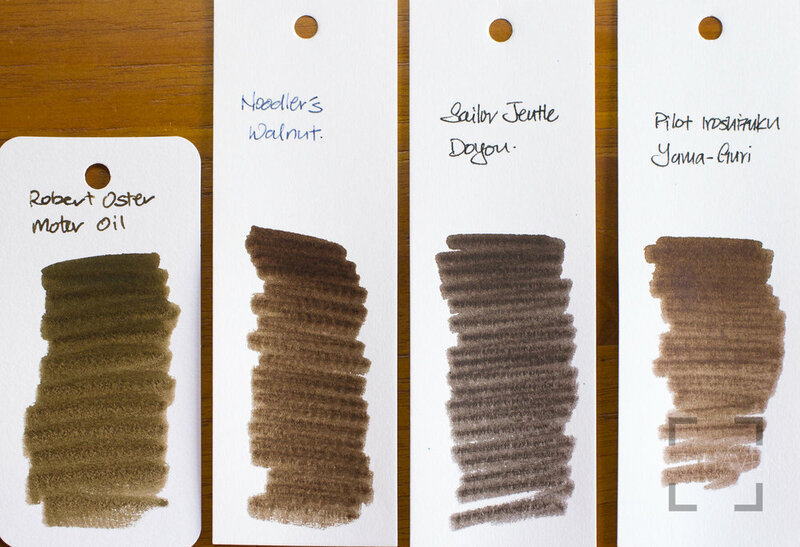 It shades very subtly with a hint of lighter brown-green surfacing from time to time. 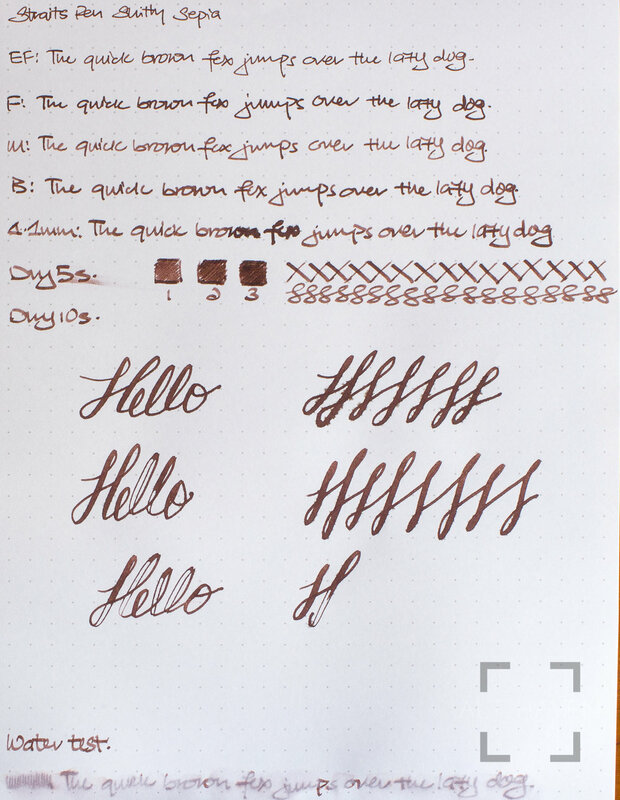 It is probably best not to use it in a EF or F nib cause you lose all shading. 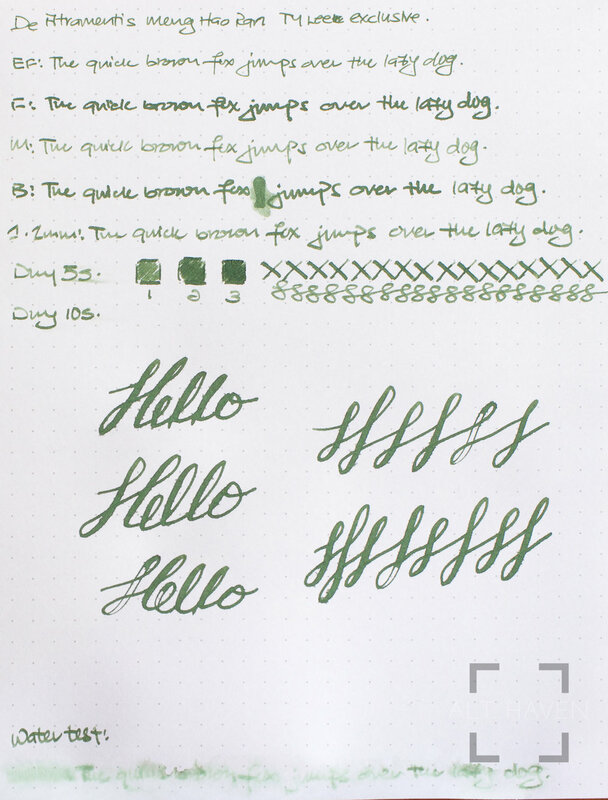 Plus this is a relatively dry ink. 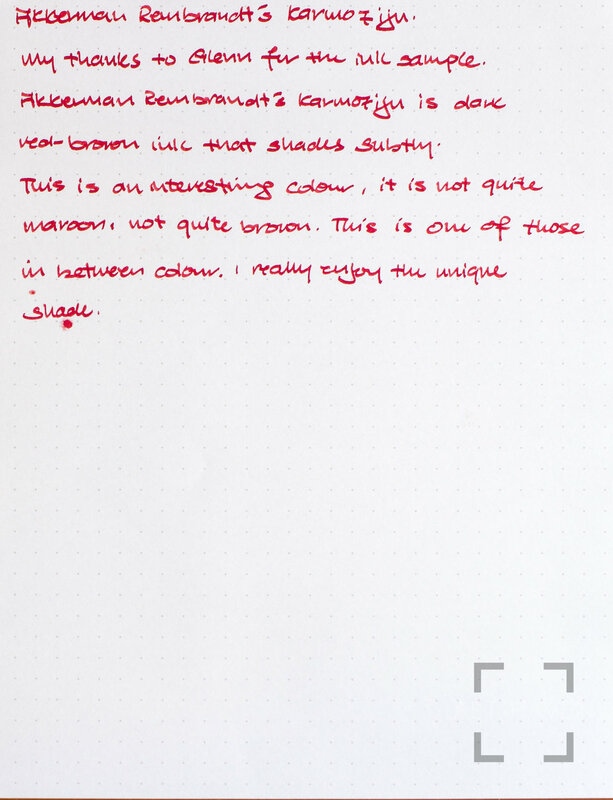 It’s not my kind of colour but it is a rather unique ink.